Glasses say so much about your personality and personal style.  At Clarksdale Vision Center, we are happy to work with you in selecting frames that complement your features. Our experienced optometry professionals work closely with you to select the proper frames to fit your budget as well as your cosmetic, lifestyle, and vision needs. Our experienced staff can help you select the perfect frames. You may also want to check out the following information about which frame styles complement various face shapes. Please keep in mind that these guidelines do not always work for everyone. We believe the best way to select a frame is to come in and try a few until you find the one that is best for you!